Blog Big Data How to Prepare for Big Data Interview? How to Prepare for Big Data Interview? With the rising demand for big data experts, the opportunities in the field of big data are growing. Though it is a relatively new field, more and more professionals are looking for jobs in this field because of the growth aspects. Moreover, big data career is quite lucrative due to the high salary and other incentives offered to the professionals. For the recruiters, finding an ideal candidate for the Hadoop or Big data job is a real challenge because of the novelty of positions and lack of experience carrying professionals. However, the recruiters are very particular about the skill set and expertise of the candidate, and it can hence get competitive for the aspirants. Therefore, it is essential for you to do big data interview preparation very well if you want to excel in your big data career. 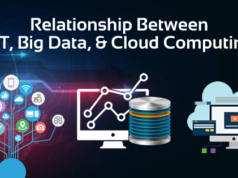 Big data jobs are different than the normal IT jobs as they require a higher expertise level in the field of data analytics and Hadoop ecosystem. Along with the theoretical knowledge, the hands-on experience of big data tools and concept knowledge are critical for securing these jobs. It is also essential to carry the related training and certifications in the field as part big data interview preparation. If you want to know how to crack big data interview, understand that step by step preparation is required for your big data interview preparation to achieve success. 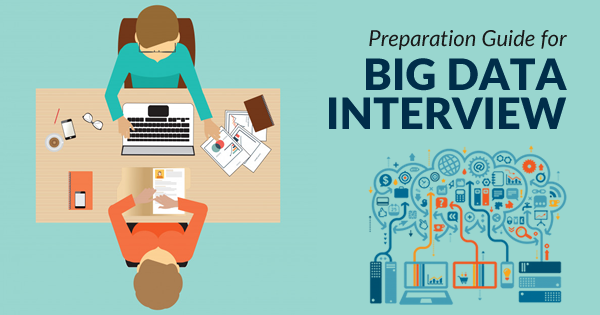 In this blog, we will guide you regarding some key steps to follow for effective big data interview preparation. Statistics is the fundamental need for the data science field. The use of statistics for crunching massive data sets is widespread. Hence it helps to know the basics of statistics like P value, confidence intervals, the null hypothesis and many more. The statistical tools like R are used widely in decision making and experiments. Moreover, machine learning is one of the critical skills of big data ecosystem these days. The knowledge of random forests, nearest neighbors, ensemble methods can be helpful in the interview. These techniques have a useful implementation in Python, and their use and exposure will help you to develop expertise in data science. It is beneficial to know the basic programming languages and Statistical programming language like R, Python and database language like SQL. You shall have an advantage if you carry the experience of working in Java and other programming languages. Besides that, you must try to gain knowledge about the dynamic programming if you don’t have such experience. Along with some basic programming, you should also carry the knowledge of data structures and algorithms. The runtime and use cases of data structures like Arrays, Stacks, Lists, Trees work helpful for the aspirants. Follow our previous blog Data Scientists Tools To Improve Productivity to know more about useful tools in Big data technology. Tools of Data Visualization like ggplot help the data scientists a lot. The knowledge of these tools helps you to coordinate and understand the use of data in real applications. You should also know how to clean up data. Data Wrangling helps in identification of corrupt data and how to delete or correct them. Hence the knowledge of data wrangling and data visualization tools will help you during your big data interview preparation. The management of products requires the understanding of metrics related to the products. The data scientist must be product oriented and hence knowledge of the right metrics to experiment and analyze is essential. The key terms like Retention rates, conversion rates, usability testing, customer feedback, A/B Testing, Traffic Analysis are often crucial from the viewpoint of the interview. Also, the knowledge and interest of tools like Storm, Flume, MongoDB are an added advantage. The firms like Facebook, Amazon, Google, eBay have enormous data sets for analysis. The same is the case for social media sites and online retailers. Hence the recruiters look for the engineers with experience with professional certifications or experience of working with the data giants. The industry recognizes many certifications offered by Hortonworks and Cloudera etc. If you are a fresher, it will be helpful if you carry these certifications. 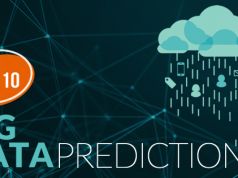 Once you are ready with the skill set and knowledge of big data tools and technologies, the next step is to prepare for the big day. The preparation will also vary from role to role. Some key points have to be specially prepared for the interview to land you the best job. Whenever you apply for the job role in a specific company, it is essential to understand the firm and department well. You can go through the history, culture, and financials of the company. You can visit the websites like Vault or Glassdoor to know more about the company and interview. Then prepare your story well so that you can deliver the elevator pitch flawlessly. Prepare your resume, profile, and experience well so that you can provide the interviewer with your brand. The companies usually take the technical tests for analyzing the programming and logical ability of the candidate. Research thoroughly and prepare for the tests that the firm conducts. You can check with the POC regarding anything in particular. There could be case studies given by the firms to verify your expertise in technical and business scenarios. On the day of the interview, dress as per the standards of the firms. Dressing shall be taken into serious consideration as it will allow you to make the first impression. The recruiters can build a bias as per the visual impressions too. While it is essential to answer the technical questions well in an elaborative manner, it is equally important to ask right questions to the interviewers. Hence, prepare 3-4 questions as per the interview type and job role that you can ask the interviewer. Along with the technical competency, the interviewer will check your behavior to understand whether you are culturally fit for the company or not. Prepare the commonly asked questions well and rehearse them. Create a way to deliver your story interestingly. The knowledge regarding your audience will help you to prepare the standard answers easily. Preparing for Big Data Interview? Here are the Top 50 Big Data Interview Questions And Answers . Big data interviews, in general, include the test of your technical knowledge as well as your cultural and aptitude fitness. To overcome all the issues in your answers, it is essential to practice and practice. You can go for the mock sessions with a friend so that you can improve on the weak points. Presenting the right CV for the particular job role is a much as essential with the gained skill sets. Preparing a good CV is an important aspect of the big data interview preparation. You should know the strengths and critical points of your resume to make the best impression. Your strengths should match the expertise required for the job position you are applying for. At the time of the interview, few key factors can make all the difference. Not all job profiles test only programming skills. When you are applying for consulting profile, you must be prepared to face real-time problem scenarios or case study type questions from the employers. Hence, when you are preparing for the interview, you must think more and more about the problem areas which may arise in real time scenarios. A good interview must be two-way verbal communications. As a prospective interviewee, you must show your level of interest towards the job role, organization, and the technology. Hence, you should be ready with questions from your end which can represent yourself as a proactive nature of person towards the interviewer. Looking for a job in Big Data domain? 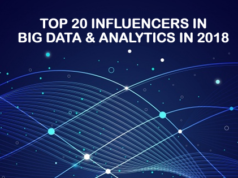 Here is the list of top 10 Big Data Companies you need to target in 2018. Your task doesn’t end with the interview process. Once the interview is done, you can send a note of gratitude to the interviewer or point of contact. You can wait for their response for few days and in case you don’t receive their response, you can write an email for the follow-up. Big data interview preparation is one of the critical points you must remember that you have to stand out from the others. Achieving a Big data certification from a reputed brand, of course, make a difference both concerning your resume and your knowledge. Keeping that in mind, Whizlabs has designed its Big Data Certification Online Courses aligned with Hortonworks and Cloudera Big data certifications. These certifications training not only completely cover the certification syllabus but also help one in big data interview preparation. We assure a successful career towards our aspirants.